In a world where more data is created than ever before, data ownership is gaining in importance. Not only organisations understand the value of data. In a world where more data is created than ever before, data ownership is gaining in importance. Not only organisations understand the value of data. Also consumers are becoming more aware of the value of their data and they are less willing to give companies their sensitive data for free. In the past years, consumers have become more careful in sharing their data with anyone. According to a survey from TRUSTe, a privacy management firm, the percentage of US adults opting out of online behavioural advertising increased from 27% to 50%. There is a trend going on that consumers want more control in who has access to their data and what can organisations do with that data. What does this mean for your business? In a report by the World Economic Forum in 2011, they identified that personal data is becoming a new “asset class” and that this type of data will become a valuable resource that “will touch all aspects of society”. Peter Sondergaard, Senior VP and Global Head of Research at Gartner, even calls this trend the “second wave of the new digital economy”. What was the first wave? The first wave was the past decade when consumers where simply giving away all of their data in return for coupons or ‘free’ services such as Google, Facebook or LinkedIn. Slowly, however, consumers are becoming more aware of the value of their own data and they are looking to take advantage of it. The result is that I foresee a shift in data ownership in the coming years. We will move from data ownership, where organisations that have developed applications assume to own the data, to a situation where these organisations are allowed to use the data of the customers. And potentially they will have to pay for that data usage to gain additional insights. This is already happening at small scale: Google’s Screenwise Trends panel gives up to $ 8 cash to anyone willing to share their browsing behaviour with Google and its partners. Another example is Raptr, an application with almost 26 million users that provides users with real rewards such as free games, hardware or discounts in return for their video gaming habits. This is just the beginning. There are also Big Data startups that are developing personal data marketplaces. These young companies are taking a different approach regarding Big Data and are empowering consumers to determine what’s done with their data and receive monetary rewards for the usage of their data. One of such companies is Handshake. They are working hard to cut out the data brokers such as Experian or Acxiom and give consumers the power over their personal data. End-users are giving monetary rewards in exchange for their data and a bit of their time. Users can share the usual personal information as well as more detailed personal information about their hobbies and life. The more data is shared and the more time spent with Handshake, the more money consumers can make. 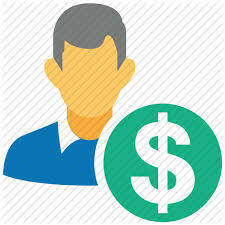 According to Duncan White, CEO of Handshake, an individual can make up to $ 24.000 per year through the platform. Of course this requires substantial time and dedication to the platform, but it is an interesting business model. Another new startup is Ctrlio. This company is developing a platform for individuals to become more in control of their own data, decide what to do with the data and save money too via personalized offers. The advantage for brands is that they can make very relevant offers based on rich personal profiles, resulting in higher conversion rates. A third Big Data startup targeting personal data is Datacoup. Currently they are running a beta where they offer users $8 a month in return for their data. They request access to your social media networks, as well as access to your credit card feeds, in order to build rich, anonymous, profiles that are sold to advertisers. Companies can buy access to trends that are found in the aggregated profiles. Three different startups that are all working on finding a way to reward consumers for their data. All three are working with different rewards, ranging from a few dollars to a few thousand dollars. That begs the question of course, how much is your data worth? The simple answer is of course: the more personal information you share, the more value it has to organisations. Unfortunately such simple answer never really works. Dutch student Shawn Buckles took a unique approach to this and sold all of his personal data for 350 euros to website The Next Web. This included all his private information ranging from browsing history, medical records to email conversations. Buckles did this to make a comment about privacy and the value of personal data. Subsequently, The Next Web used his data during the TNW’s conference to illustrate the issue of privacy. Federico Zannier took a different approach when he created a Kickstarter project to sell all his personal data. He exceeded his initial goal of making $ 500 but had to share all his online activity, his GPS locations and even mouse movements for over several months with his backers. Of course these are excessive prices for data and partly could have been caused by the novelty factor. Fact is that they shared a lot of personal data and of course that is worth a buck. Aggregated and anonymous data is of course worth a lot less. The Financial Times developed a personal data calculator to gain a bit of understanding how much your data is worth for large corporations. Based on different variables such as gender, income, lifestyle and health an estimation is made, which barely raises above $ 1. According to the FT, general information is worth about $ 0,0005 or $ 0,50 per 1.000 persons. Far off from what Buckles and Zannier made. Selling the data today can be interesting and give consumers money right away, but what will be the affect in the future? What if in the future your favourite retailer decides to hide certain discounts for you because of your profile or your insurer decides to increase your fee because of the data? Privacy is a very thin line with monetization of data that needs to be dealt with care by organisations as well as consumers. This shift from data ownership to data usage will require organisations and consumers to start thinking differently about their data. Organisations can look for new business models to better serve their customers, while consumers have to think about how much their privacy is worth. It is a new way of thinking, but one that I believe will increase in popularity in the coming years.